A one room schoolhouse that has been renovated and moved to the current site of the Rural Life Museum, home to the Genoa Historical Association. The facility currently houses a meeting room, records and research room, informational one room schoolhouse, 1810 threshing barn and a replica outhouse constructed by local members. Since its inception, the museum has provided opportunities for elementary, middle school and high school student tours and research. 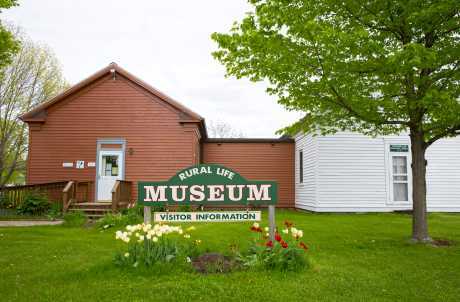 Group tours, genealogy research, historical presenters, speakers on topics of local interests, authors, musicians and artists are regular activities. Memory chats of local areas and businesses are popular programs for the older residents as are boat tours on Cayuga Lake that focus on the past, present and future preservation of the lake.